Cabbies are attempting to propagate a myth that these mice commemorate two builders who died while working on the nearby Monument. We can find no reputable evidence for this (and we well remember the stories that cabbies spread about one of the Noses of Soho being in honour of Wellington). Why would the Victorians who put up this building want to commemorate two dead construction workers from the 17th century? How did they even know of their existence? Is this the type of memorial for which the Victorians are renowned (compare and contrast the Albert Memorial)? 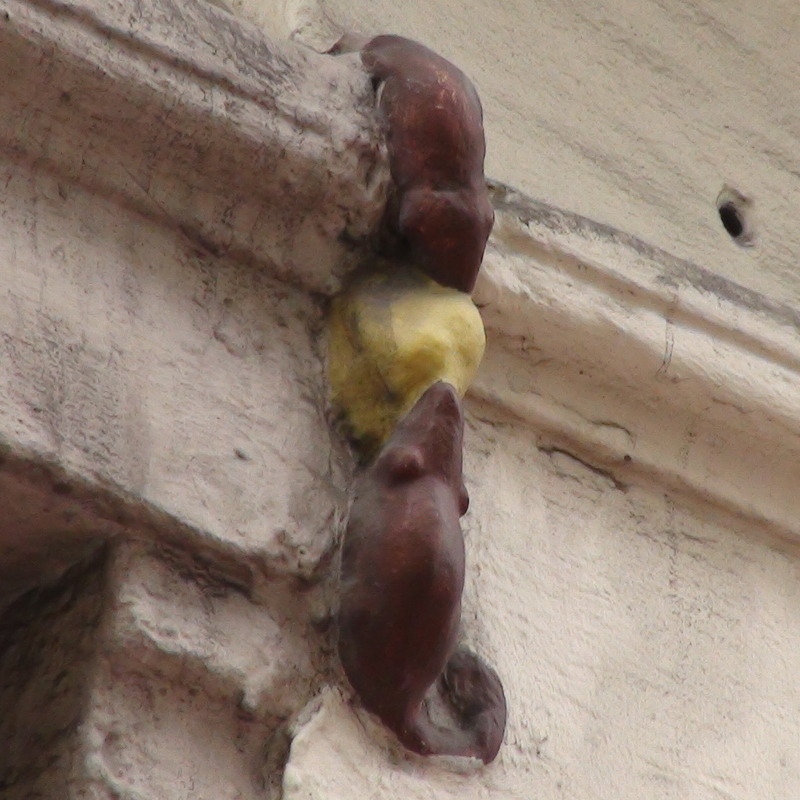 So it's still an open question why these mice are here, and what, if anything, they commemorate.